The range of Snow Peak camping gear is broad with a far-reaching application to any outdoor pursuit providing convenience and comfort. This gear ranges from lighting, cookware, tableware, shelters, grills and outdoor furniture. Snow Peak provides lightweight easily transportable goods for the backpacking experience, while larger and more comprehensive products are available for camping. The Snow Peak Camping Gear provides camping tents, tarps, stakes, hammers, poles and accessories. This equipment is constructed from polyesters with PU coating for water repellent situations, taffeta for softness and ultra light Duralumin – all contribute to the unique design, light weight and great stability of the gear in extreme situations. The Snow Peak Camping for backpacking products provides an impressive collection of extremely lightweight but durable items that are designed for the person on the move. The Hybrid Trail Cook Set features an efficient design and is constructed from silicone and titanium for quick cooking and easy cleaning. 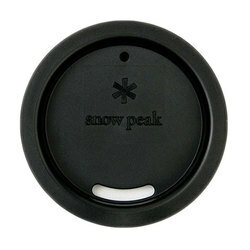 The thought put into the Snow Peak designs is apparent in every item produced. You will recognize how the outdoor experience features in the design process. An example of an item that will revolutionize your backcountry cooking experience is the Snow Peak GigaPower Stove. This store is constructed from stainless steel, aluminum and brass and only weighs four pounds. Snow Peak provides the smaller items as well such as the Snow Peak Kanpai Bottle in two capacities, i.e. twelve and sixteen ounces. This bottle provides a new standard for keeping drinks either colder or hotter for up to six hours with no change in temperature due to the double wall vacuum seal. 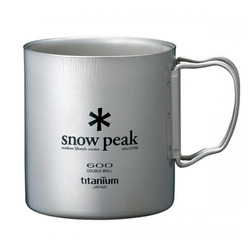 When it comes time to pull out a sleek and lightweight flask to end that tough hiking day, the Snow Peak Titanium Round Flask is the item for you. This flask weighs only two ounces and holds 6.7 fluid ounces of your favorite spirits. Snow Peak will keep you going with hot soups, cold drinks or the perfect tasting spirits. What ever you need for the backcountry is available for you through Snow Peak.